Where Can I Buy Extra-Wide Tablecloth? 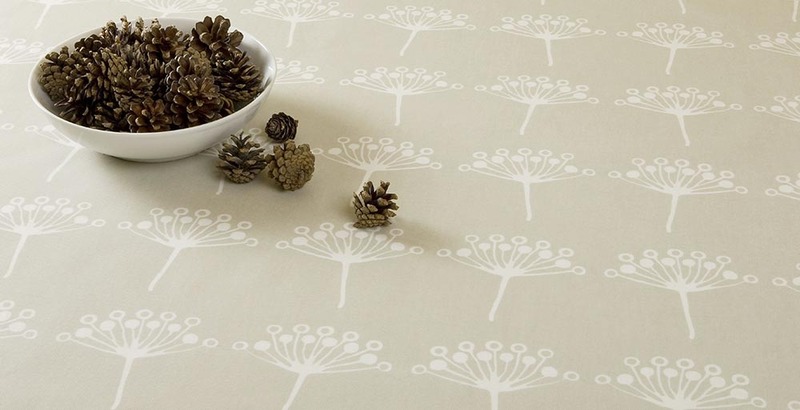 One size certainly doesn't fit all and that is why here at Jolee Tablecloths we offer a bespoke service for those looking for an extra-wide oilcloth tablecloth. Here in this section, we have a range of standard oilcloths which are wider than standard oilcloth tablecloths. The majority of our range of oilcloth tablecloths are 132cm or 52 inches but our exclusive oilcloth designs are an extra large 139cm (55 inches) to some designs as 149cm (59 inches). These are perfect especially for people looking for a round tablecloth as these can accommodate tables with a diameter of 130cm (53 inches). How Much Does An Extra-Large Tablecloth Cost? If you are looking at our bespoke service for an extra-wide tablecloth then you will find the price varies depending on the size and design. We can give you a quote for any tablecloth almost instantaneous, just contact us. For our other range of extra-wide oilcloth, our prices start from as little as £15. So whether you buy your oilcloth by the yard or by the metre we have something here for you. Alternatively, if you can't see the design you like why not check out our range of extra-wide Teflon coated acrylic tablecloths?